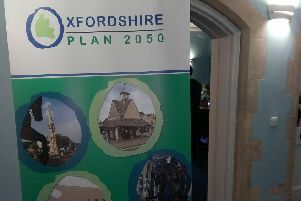 An Oxford councillor is in the running to take the Labour Party’s nomination for the Banbury and Bicester constituency whenever the general election takes place. Jamila Azad is joined by the leader of Cherwell District Council’s Labour group, Sean Woodcock, and party campaigner Suzette Watson. The party will decide who will stand against current Tory MP Victoria Prentis at a meeting at Banbury Town Hall on April 6.